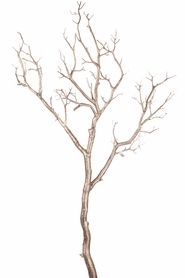 Home > Floral Decor > Branches & Picks > SALE ! Spray, Swirly Metallic Silver Glitter, 31"
SALE ! Spray, Swirly Metallic Silver Glitter, 31"
Our super glittery swirly metallic sprays are 31" long and are an awesome accent that you can quickly and easily use to add huge flair and interest to your floral and centerpiece designs! 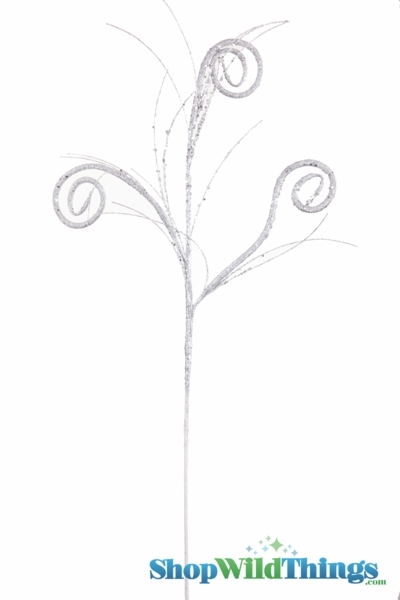 Each spray has 3 spirals and wisps that are bendable so you can fan out the spray or arc the stems for whatever design you need. Two spirals are 2" in diameter and 1 is 2.5" in diameter. We have a variety of these vibrant colored sprays that look fantastic on their own or really pop when mixed with other colors.